ABCO fillers are recognized around the world as the best bag-in-box liquid fillers available in the industry. Our throughput rates, accuracy, and reliability are second to none. ABCO has been building liquid filling equipment and bag-in-box machines since 1977 with installations in over 20 countries. We combine our experience with unparalleled technical proficiency to design, build, and support the most efficient liquid filling solutions. In addition to our standard line of products, we provide turnkey design and build services to accommodate unique packaging requirements including fully-automated end-of-line solutions. 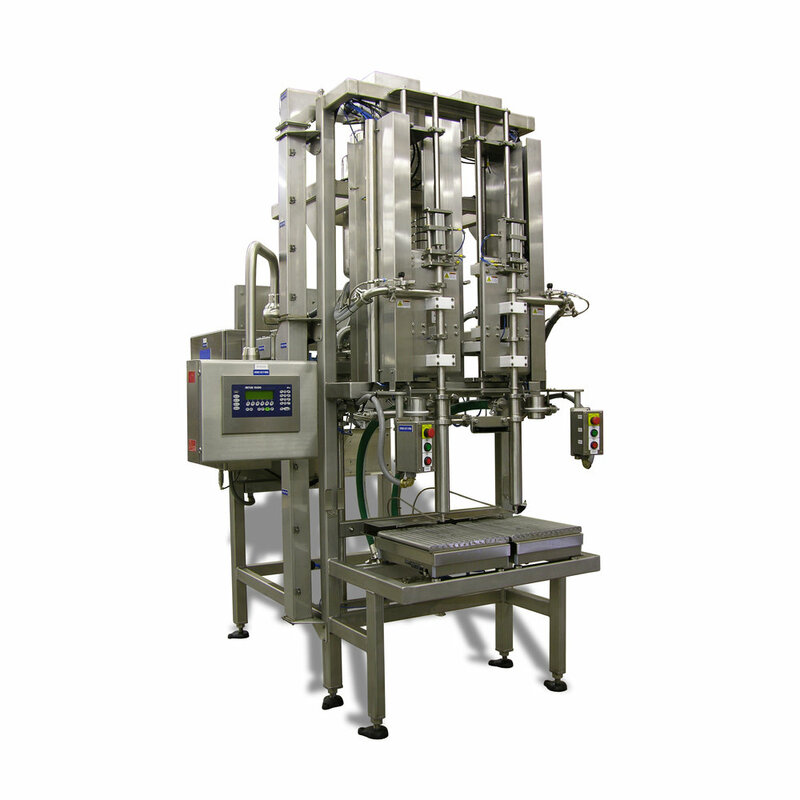 ABCO filler lines range from a simple manual bag-in-box filler to a fully automated high-speed filling system capable of filling 60 bags per minute. Every ABCO bag-in-box system is built to sanitary standards with product surfaces constructed of T316 stainless, Teflon, product compatible elastomers, and 3A sanitary welds. Non-product surfaces are T304 stainless and fitted for clean-in-place (CIP) service. Fill levels and rates are fully programmable, and ABCO's no-drip fill valve design is second to none. Other standard features include bag and cap presence sensors, Allen Bradley controls, and quick change tooling. For a full list of specifications and features, please visit the unique product page for each filler. ABCO's bag-in-box fillers provide the highest speeds and throughput, +/- 0.3% filling accuracy, and the highest yields, all combined adding to our clients’ bottom line. ABCO designs and builds complete automated packaging lines, including box forming, conveying, filling, box sealing, check weighing, labeling, palletizing, and controls. We can assist from concept development through equipment specification, acceptance testing, installation, start-up, and training. Every system is fully assembled and tested in our Greensboro, N.C. facility, providing for a smooth and productive startup in any plant. We are experienced integrators installing complete packaging lines for major companies throughout the world. ABCO can supply complete installation services utilizing our personnel or work with your preferred local electricians and millwrights. ABCO’s mechanical and electrical engineers design and build with quality as priority number one. Our machines are durable and have long been viewed as the best built in the industry. Our clients, without fail, consistently receive quality design, quality sourced materials, and second-to-none quality construction. 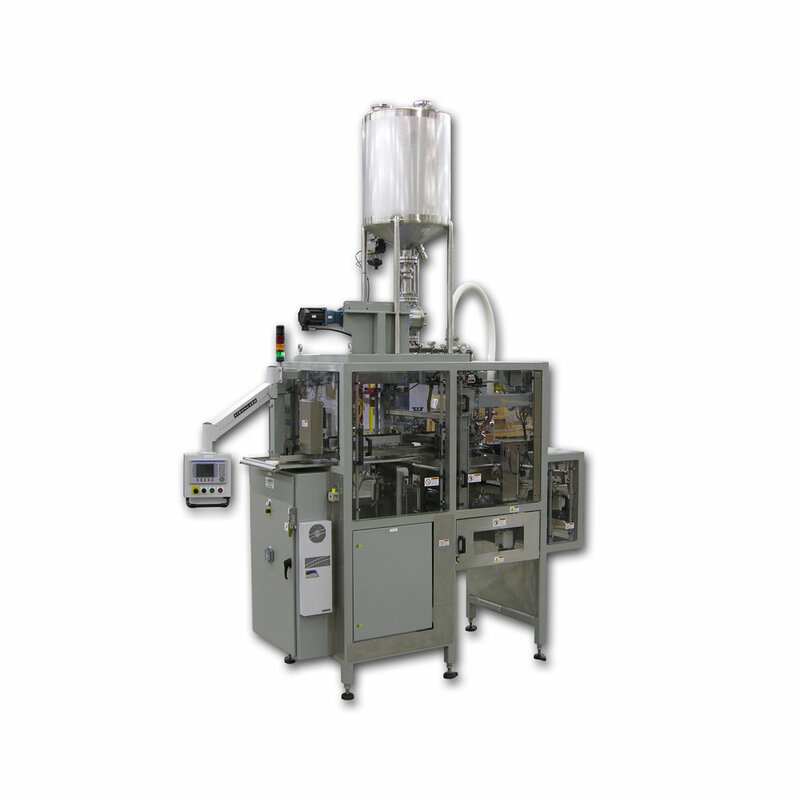 Whether there is a need for a custom design and built turnkey packaging line, one of our proven automatic filling machines, or something in between, please contact us for a consultation.